Alpha Imaging Collective member Ari Weiss (@ari.weiss) is a New York City based portrait and fashion photographer who has shot commercial work for clients such as Nike, Hennessy, Under Armour and LG. 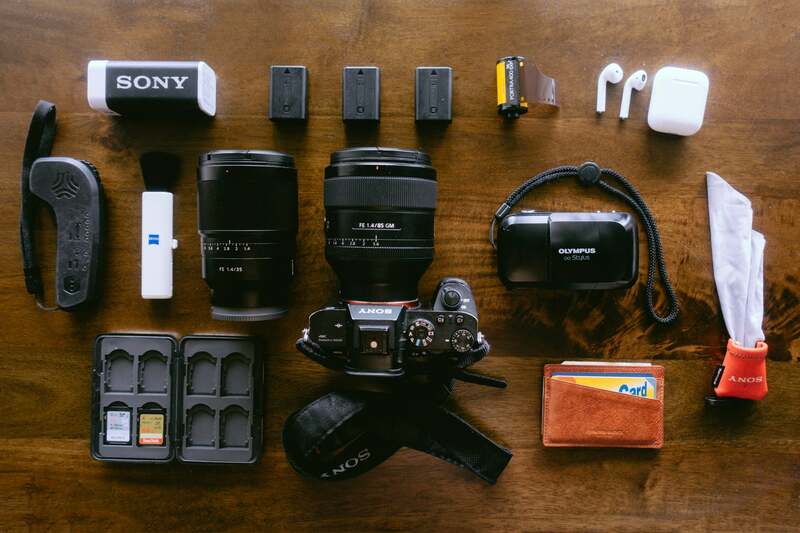 Weiss keeps his gear streamlined, frequently packing a single Sony mirrorless body and a pair of Sony prime lenses. We caught up with Weiss to learn more about his gear and how he uses it. α7R II: The Sony α7R II is my main body when shooting portraits for three reasons. First is the high resolution. This gives me the ability to crop-in however I’d like and still have a perfectly clear image. The larger the image, the more information I have to work with in post. Color is a huge part of my photography style and how I express emotion. I’m constantly changing the color of subjects clothing in my images and because the image is so large, the quality stays the same when I completely change hues. This is huge for me. Third is the α7R II’s low-light capability. Shooting portraits at dusk or at night has never been easier. I can bump my ISO high and have no grain. This comes in handy when shooting portraits of musicians at music festivals or roaming the streets of NYC at night with my subject. When on a portrait shoot, I like to travel light. I only bring two lenses. Sony 85mm f/1.4 G Master: My lens of choice is the 85mm f/1.4 G Master lens. It has an incredible cinematic feel to it and by this I mean it has great compression. The background looks super close to the subject. This is amazing when shooting in the city because the buildings come close to the subject. Shooting so cropped-in and tight allows me to really focus on composition in the shot rather than in post. I studied graphic design in school and have a really graphic style of photography. As a result, composition is huge for me. I’m always playing with lines, whether it is straight or diagonal, to frame my subject and move the viewer’s eye around the image. Something I love to do when I’m shooting with this 85mm is to shift focus. When photographing people, sometimes the subject doesn’t have to be in focus. There are no rules in photography. I’m trying to capture a mood, a feeling. And sometimes I like to capture the location I’m in or the architecture while still having the subject there slightly out of focus. This makes the image more relatable. Since the person in the picture is out of focus, it could be anyone. The viewers imagine themselves in the picture easier and the 85mm G Master really blurs the subject in a nice way when I do it. Sony Distagon T* FE 35mm f/1.4 ZA: I always put this 35mm f/1.4 in my bag for wider shots. If I want to show the subject’s entire outfit or surrounding architectural landmarks, this is the lens I use. The images have a unique feel. Shooting wide can feel less dramatic and lighter on the eyes. Sometimes when I want to shoot really happy, energetic portraits, I use the 35mm because it allows the image to breathe. Sony SD Cards: I always carry multiple, fast SD cards so I never run out of space when I'm shooting. Power bank: My phone is constantly dying so I have to keep power on the go. Olympus Stylus 35mm + Kodak Porta 400 film: I like to carry around a small film camera just to capture random moments. My digital camera is for the most stoic portraits and images, and the film is just for fun. Vid Pro SD case: Keeps my SD cards secure and organized. Lens brush and lens cleaning cloth: These are key in keeping gear clean and clear at all times. Boosted Board Remote: My electric skateboard is my main transportation around the city and this is the controller. Extra Batteries: I always make sure to have more batteries than I need. Ari Weiss is a member of the Sony Alpha Imaging Collective. Follow all of their adventures on Instagram https://www.instagram.com/ari.weiss/.